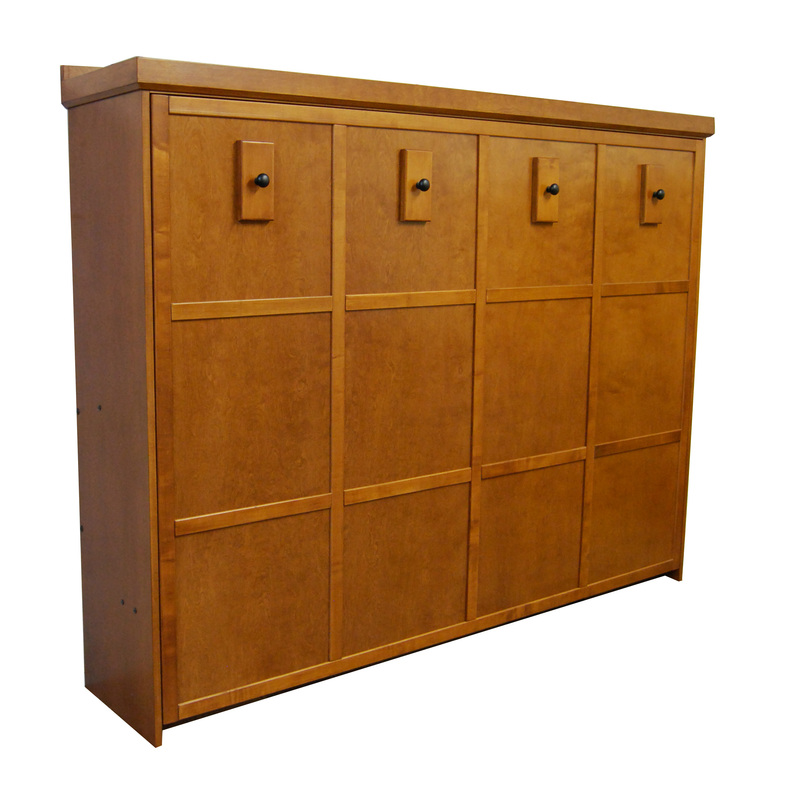 Meticulously constructed of either Maple or Oak, the Traditional Murphy bed Collection features solid wood paneling. Master craftsmen create each and every Traditional Murphy bed Collection piece. Every piece is made from quality, beautifully-grained woods and can be finished in wide array of stains. 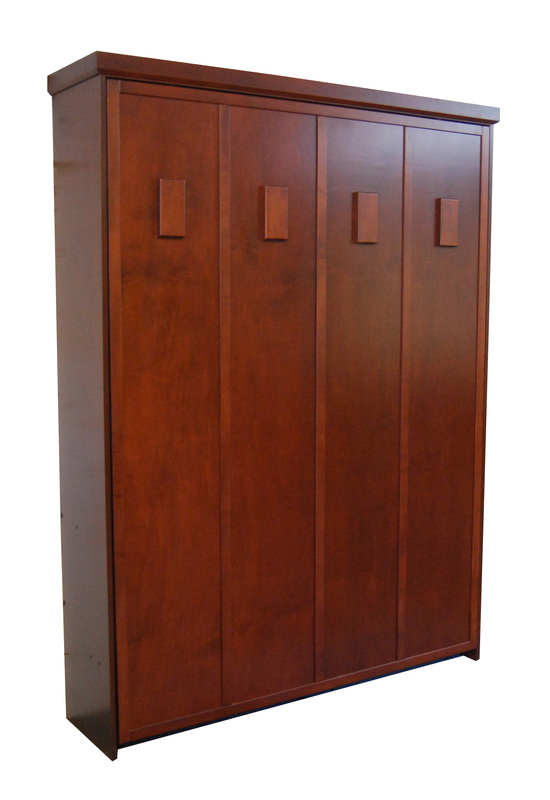 This Murphy bed is the perfect solution for those who are looking to increase the efficiency of their homes through an additional office, exercise room or craft area but do not want to spend a fortune doing so. 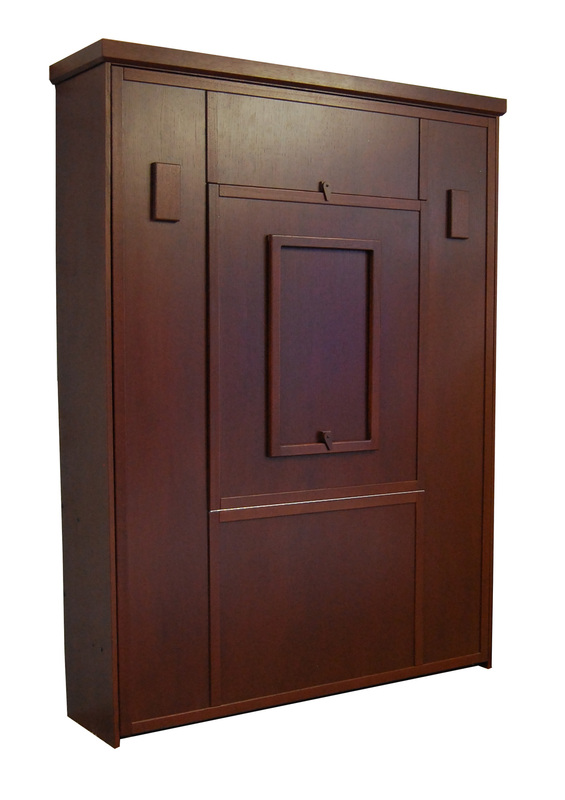 Instead of an expensive room addition or renovation, our Classic Murphy bed can increase the value and utility of your home significantly without the inconvenience and cost of a full remodel. 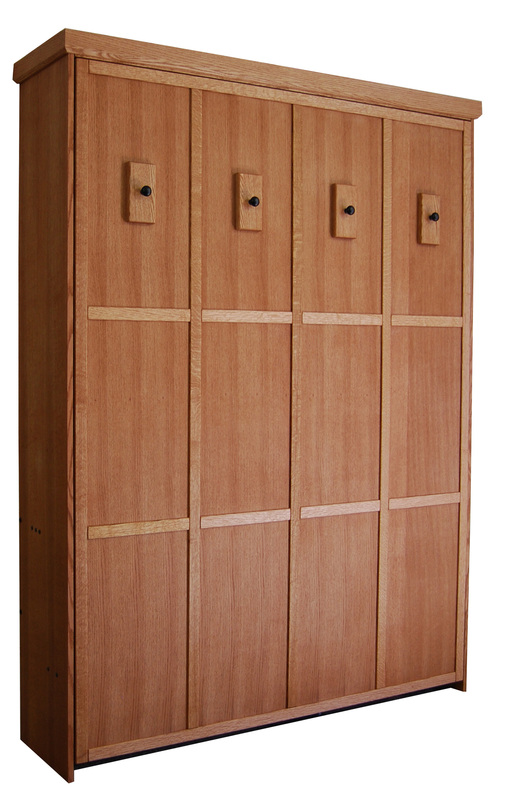 The Classic Horizontal Murphy bed sits 19 inches shorter than its vertical counterpart it is an ideal solution to basement and loft rooms that have ceiling constraints. Additionally, the Classic Horizontal bed only projects 64 inches from the wall because the bed raises and lowers the mattress on its side, rather than at the head of the bed, saving you 20 inches of floor space when compared to the vertical Classic bed. Standing 19 inches shorter than our standard queen Craftsman Murphy bed, our Horizontal bed is ideal in basements and lofts where ceiling constraints pose a problem. People looking to expand their homes through remodel or costly room additions have found that they can convert their unused basement into a guest room with the simple addition of the Craftsman Horizontal Murphy bed. 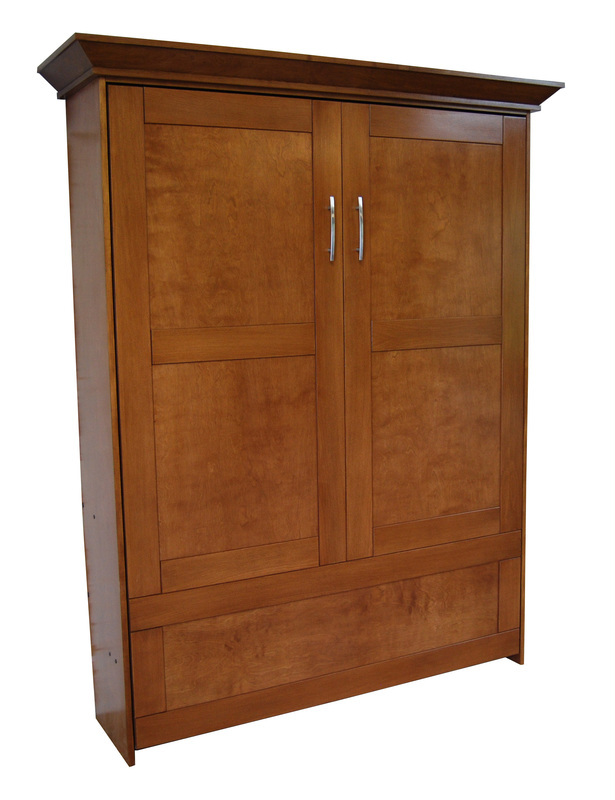 Designed with faux cabinetry and drawers, our Armoire Murphy bed creates the illusion of a grand armoire that will complement any room. Visitors will have no idea that the beautiful centerpiece of your office or study is actually a fold away bed until you pull it down for the night. They will continue to be astounded when they discover the level of comfort and stability that the Armoire Murphy bed offers. Just as the vertical Table Murphy bed allows you to utilize your space to its fullest extent with a convenient built-in table, so does the horizontal version. Simply lower the table when the bed is not in use and voila! You have an instant craft table or an expansion to your work area. 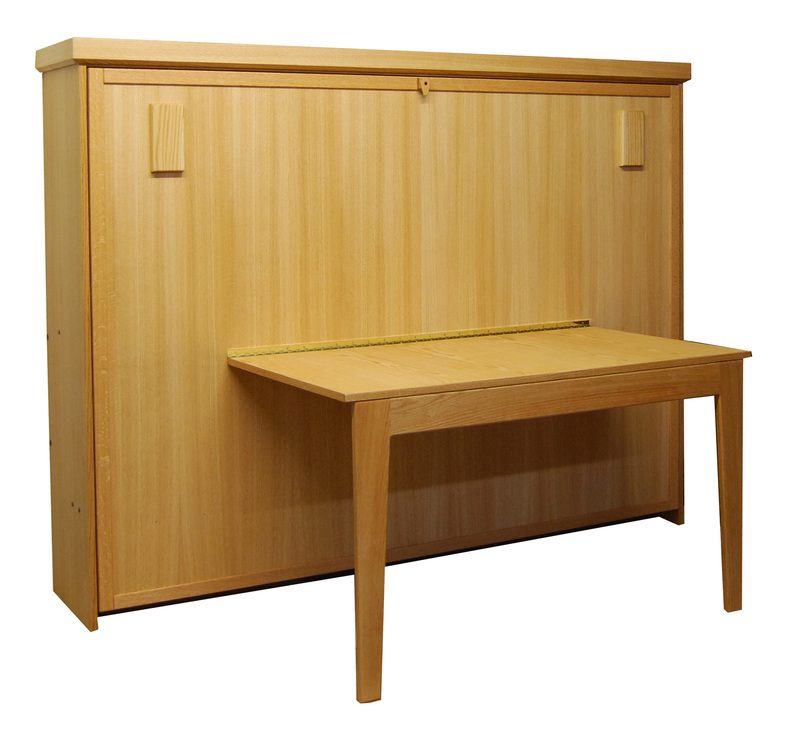 The table can be raised just as easily to allow access to your Murphy bed and is locked in place with one solid wood latch. The Table Collection allows you to utilize your space to its fullest extent with a convenient built-in table. Simply lower the table when the bed is not in use and voila! 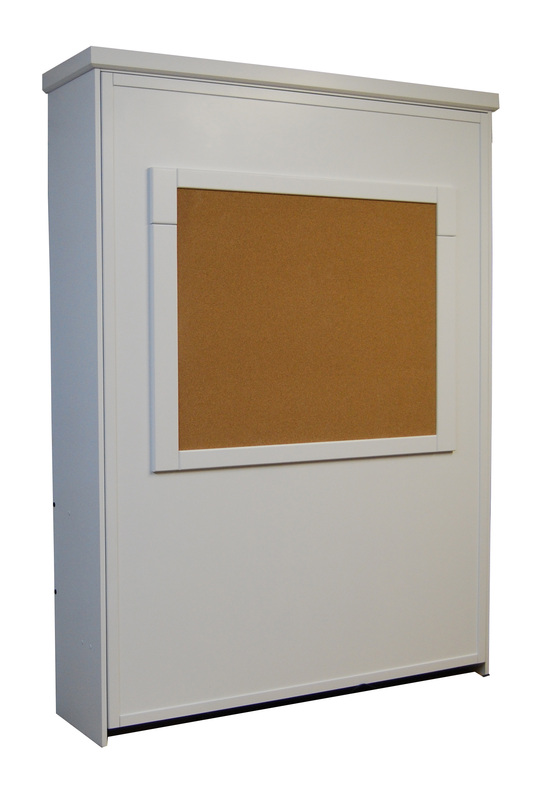 You have an instant craft table or an expansion to your work area. 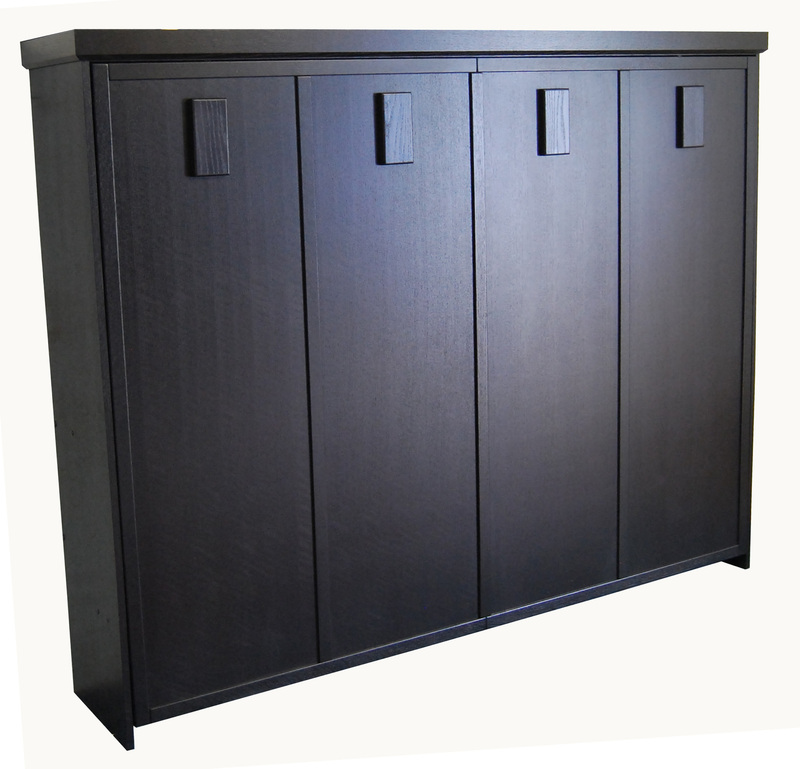 The table can be raised just as easily to allow access to your Murphy bed and is locked in place with two solid wood latches. Are you looking for a wall bed with creative possibilities as unique as your space? 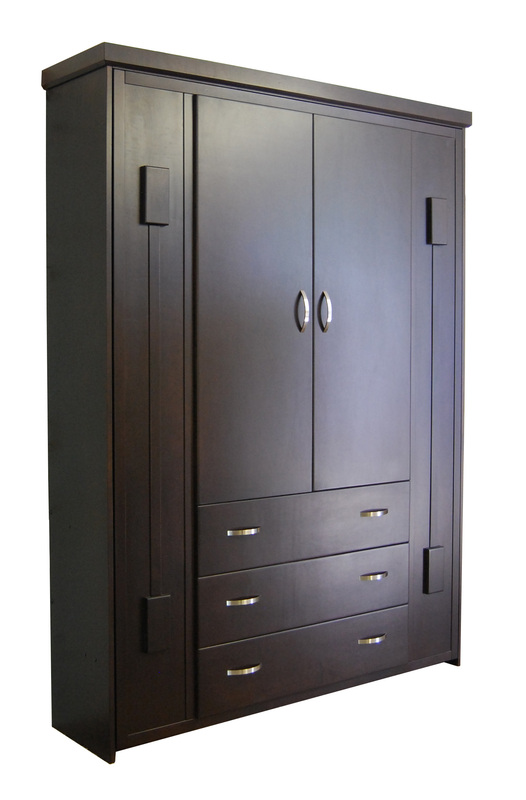 The Creative Murphy bed is for you! This collection features a frame mounted on the face of the bed that can house either a chalk board, a cork board or a dry erase board-whichever works best for your home. 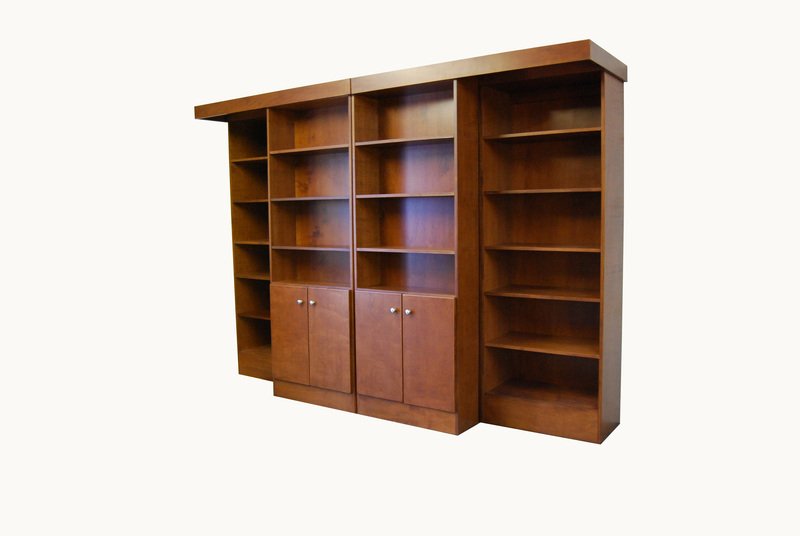 This Murphy bed operates on a roller track system that allows the center two bookcases to move horizontally. The Library bed is designed to provide a seamless transition from fully shelved library to our easy to operate Murphy bed.. Utilizing the same air piston mechanism as our other Murphy bed models, the Library bed is sure to provide comfort and ease of operation for years to come.